Money management and financial planning is vital need today. Without money life is nothing. Money is required at every stage in life. 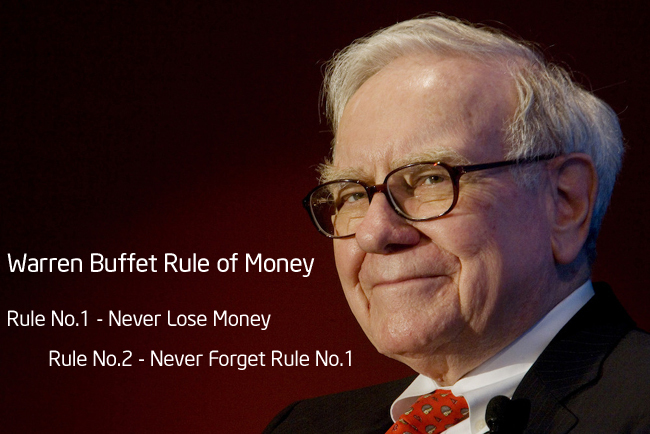 Today I will share 10 basic rule of money. These rules are basic rules for detail financial planning you can take help of financial planner. 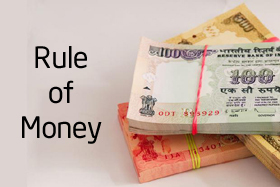 First basic rule of money is related to equity investment ratio. Basic thumb rule of deciding equity investment ratio in investment world is deduct your current age from 100. Result of this subtraction is your equity investment ratio percentage. If your age is 30 than allocate 70% of investment in equity and rest 30% in debt. Another basic rule of money is to decide emergency fund. One should keep minimum 3 month income as emergency fund. This emergency fund should be kept at location which is easily accessible. Retire person has to keep at least 1 year income as emergency fund. Total EMI should not exceed 35% of your income. In case of Home loan this EMI value should not exceed 25% of your income. You should plan for your retirement from beginning. Minimum 10% of your income you should invest for retirement. Start investing as early as possible and invest as much as possible. As such there is no thumb rule for deciding amount for purchasing house but you can purchase house with value not exceeding 4 times your annual family income. For example if your annual family income is 10 lac you can purchase house with value of 40 lac. If you’re annual income is 10 Lac than you can purchase car up to 5 Lac rupees. If you are purchasing car by taking loan assure that EMI is not exceeding 10% of your monthly income. This is very difficult question to answer, answer of this question depends upon your lifestyle income and lot of other factor. Thumb rule here is to have retirement corpus of amount 50 times of your yearly income. If your yearly income is 10 lac you at least need 5 Cr for retirement. Insurance is vital need today. You must purchase term plan. For comparison of term plan you can refer our article. Your insurance amount should be at least 10 times your yearly income. Another important rule of money is rule of 72. If yearly return is 12% your money will be doubled in 6 years. If return is 8% than in 9 years and if 14% than in 5 years your money can be doubled. Many investors select only equity or only bank fixed deposit but my advice here is to make diversified portfolio. Invest in equity and also in bank fixed deposit. Make sure that you are getting higher return compare to inflation. Hope above 10 Basic rule of money will be useful to you. Do share your views on above.